In the late 1950’s, a group of poodle lovers started meeting to discuss their mutual interest in the breed and to encourage the public awareness of the unique qualities of the Poodle. 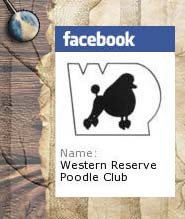 In 1960, this group formally organized as the Western Reserve Poodle Club. Their goal was, and still is, to create, foster and promote interest in poodles by encouraging both quality breeding and participation in all venues at which poodles succeed. Those venues include not only conformation but Obedience, Agility and Rally, Hunting, Tracking. Membership is open to any poodle enthusiast that is willing to abide by the Constitution & Bylaws and Code of Ethics of the club.